Husband-and-wife team Heather and Kevin Alderton volunteer with Red Cross in Christchurch. 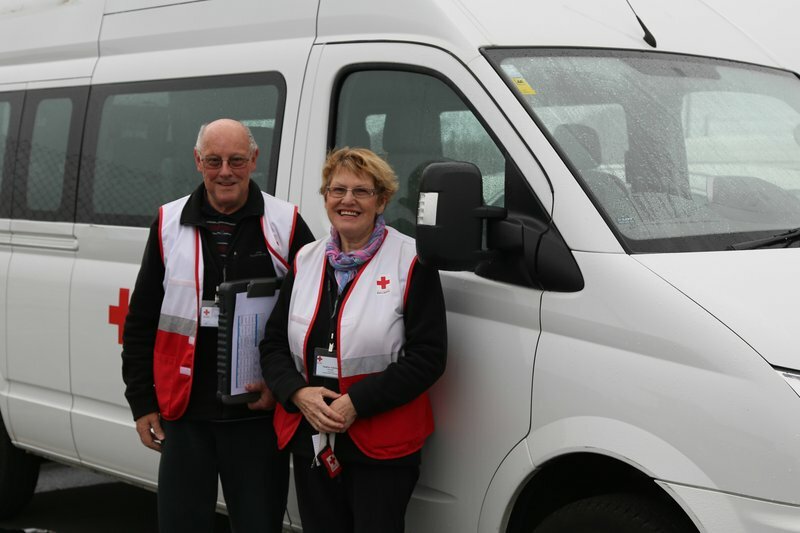 The Christchurch couple volunteer with Red Cross’ Community Transport service every Tuesday, putting in a full day behind the wheel. Heather does the driving, while Kevin helps passengers along the way. Red Cross’ Community Transport service offers safe and reliable transport to medical appointments for people who might otherwise have trouble getting around. For Heather and Kevin, the service is about more than just providing a lift to the doctor. It’s a chance to make new friends, learn new things and even do a bit of singing. “We meet some interesting people. There was one lady we took a couple of times that we knew enjoyed opera singing,” Kevin remembers. The husband and wife team both enjoy chatting with their passengers. Finding common ground, even across language barriers, doesn’t take long. Kevin and Heather ready to pick up a passenger on a rainy Christchurch day. Lauren Hayes/NZ Red Cross. Heather and Kevin often drive a group of women from Afghanistan, who speak only a little English, to a community group. Despite speaking different languages, they have formed a close connection through the service, Heather says. “One woman always wants to know about my daughter. She’s got a daughter who lives far away and she knew my daughter lives in Nelson, so it’s something we have in common. For many people, working with your husband or wife would be a challenging experience. However, the pair, who have been married for 44 years, enjoy spending time volunteering together, Kevin says. If you’re interested in being a friendly face behind the wheel, find out more about volunteering as a Red Cross Community Transport driver.